Organiser of the African National Congress (ANC) Women’s League and Trade Unionist. Frances “MaBaard” Baard was born 1st of October in 1909 in Kimberley, Northern Cape. She was the fifth of seven children of a Bechuuanaland-born mine worker.She worked as a domestic servant almost 15 years and then as a teacher but became militant as a result of her experiences of oppression and exploitation in South Africa. As a budding activist she drew her influence from Raymond Mhlaba and Ray Alexander.She was a trade unionist and a women's leader from the late 1940s to the 1980s.She moved in with a friend in Port Elizabeth where she got married and eventually found work in a canning factory. In 1948 when Ray Alexander Simons came to Port Elizabeth to expand the membership of the African Food and Canning Worker's Union,She was the recruit and after became employed as the union's local secretary,thats were she came in contact with the African National Congress and met the dynamic Florence Matomela and others.The two women formed an ANC Women's League in Port Elizabeth in the 1950s. In 1954 the two women were active in building up the Federation of South African Women,were they both became executive committe members. The following year in 1955 Baard became one of the few female members of its national executive of the South African Congress of Trade Unions(SACTU). 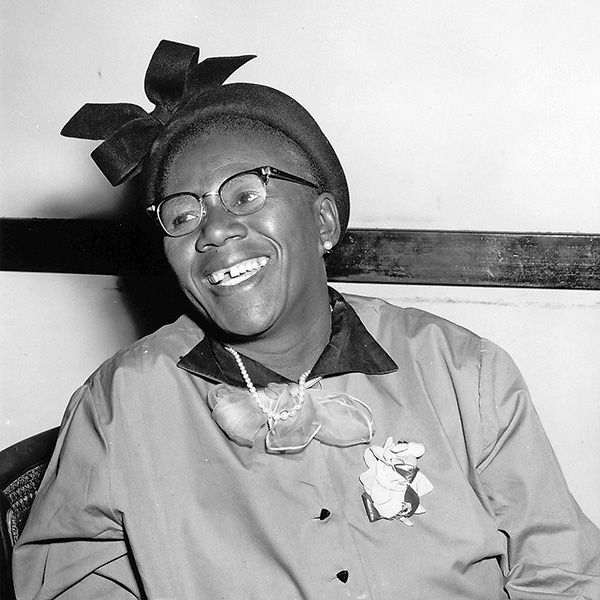 She helped publicize the boycott and persuade the white farmers to alleviate the inhuman conditions of farm workers.Baard was among the 156 people charged with treason in December 1956 but the charges against her were dropped in January 1958. She received the her first banning order five years later, even though she continued quietly engage in extending the M-plan in Port Elizabeth. In October 1963 she was arrested but not charged,she was kept in solitary confinement for an intire year without visitors or reading matter.She was later charged and convicted of belonging to the banned ANC and given a five-year sentence. In 1969 she was released and banished to the outskirt of Pretoria,where she continue to live until her death in 1997. In August 1983,at the age of 74 she was one of the honorary patrons speakers that launch the United Democratic Front and she co-author the autobiography with Barbara Schreiner,My Spirit is Not Banned(1986). In 2001 the distric of Kimberly was renamed after her as the Frances Baard Municipality.